Taleni Etosha Village offers affordable family accommodation at Etosha National Park, 4,3 kilometres from the Andersson entrance gate near Okaukuejo. The name Taleni means "view" or "vision". Taleni Africa's hosts yet again have the view and vision of combining affordability with comfort and style in a private and protected reserve directly adjacent to one of Namibia's major highlights. The days when cattle still grazed the grounds around Etosha are long gone. The mountains where the calves went missing, 'Ondundozonananandana', remain as silent witnesses. Today this land is preserved as prime destination for nature lovers with affordable accommodation in Taleni Etosha Village taking it's modern styling cues from a traditional African village. 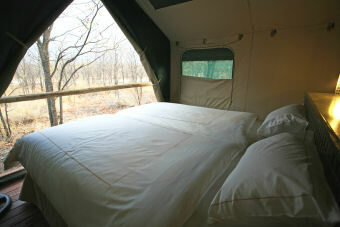 Fourty well appointed self-catering chalets, each featuring twin beds, sleeper couch (free for children under 12!) and en-suite bathroom with open air shower. 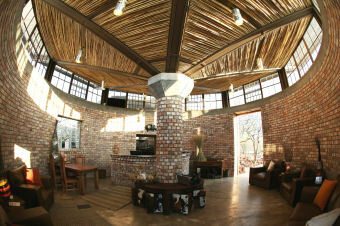 Each chalet has its own boma type self-catering area, complete with wash-up area, stove, fridge and BBQ. Eating & cooking utensils available. 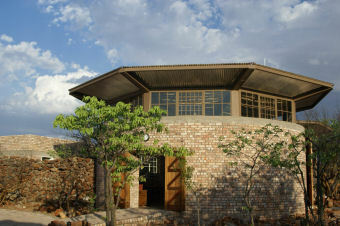 A well-stocked on-site utility store, "One Stop Cuca Shop", will cater for all basic needs. 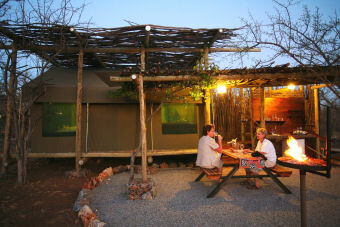 From 1 August 2013 our Etosha Village will have a whole new selection of exciting activities for our guests to take part in. 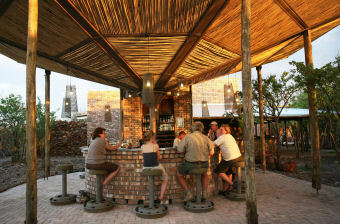 Sundowner Drives - on our private reserve with our knowledgeable guides explaining the fauna and flora. At dusk, sip sundowner drinks whilst enjoying breath-taking views of an African sunset melting over Mopanie forests and grass plains, known to this spectacular area. Star Gazing – After dinner join our General Manager, Hein, on a mesmerising star gazing session on our specially built star gazing deck. Enjoy our famous star studded skies and get lost in the magic that beckons you through our telescope. 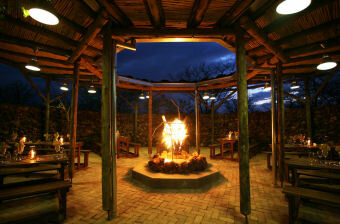 Bush Dinners – Join us on a journey to a secret location for a truly African Bush Dinner under the stars!